I changed up the second card a bit but the first one is very similar. I used the Fruit Basket Bundle which comes with the stamp set and a pack of four tiny punches, strawberries, pineapple, pear, and a melon. 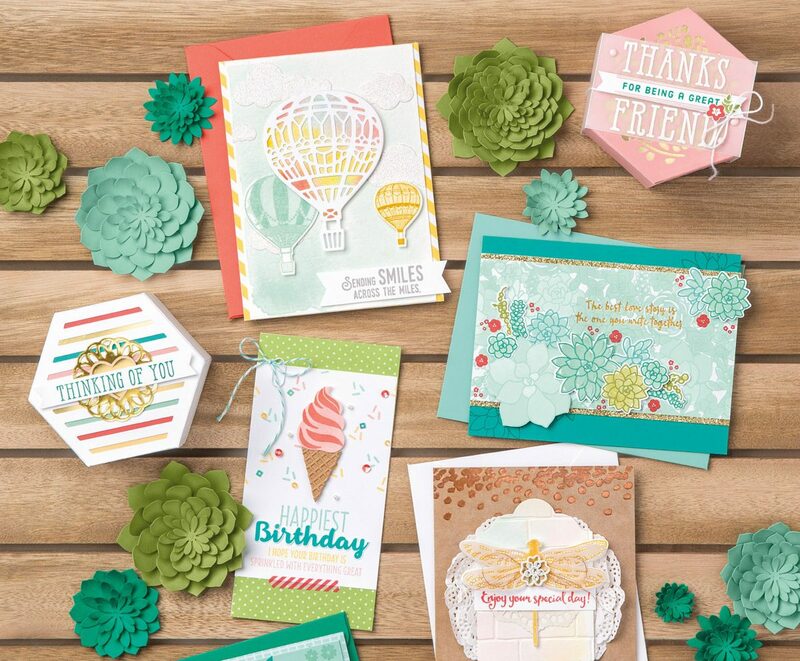 They are so cute and a great way to add accent and dimension to your card. The DSP is called Tutti-Frutti and comes in 6 x 6 and there is 48 sheets filled with colorful fruits and patterns. If you would like to order any products, I would greatly appreciate your business. Please use the following Hostess Code for orders under $150. You will receive a free gift from me. Code : ZVGAXGEA.